Do you hold or organise corporate golf days or golfing events? Are you in the golf business or run a golf club? 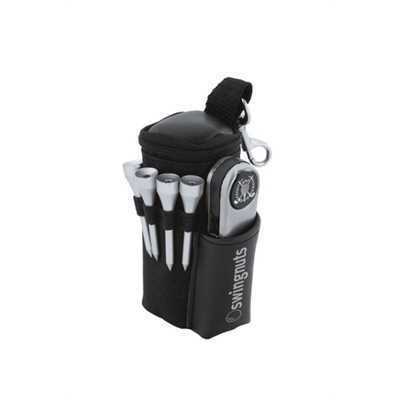 This branded golf pack would make the perfect give way to competitors or new members. This quality custom printed golf pack is designed to attach to your golf bag and includes 2 golf balls, 4 tees and handy stainless steel golf tool with ball marker. (Golf tool also sold separately, see Golf Genie bc42755).